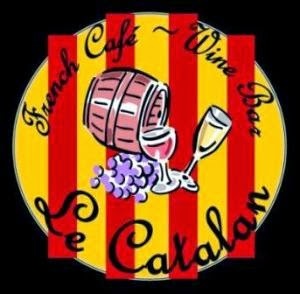 Sunset Beach Bliss: Le Catalan: The Best Taste of France on the River Walk! Le Catalan: The Best Taste of France on the River Walk! The top of my family's "to do" list whenever we spend a day in Wilmington, NC, is lunch at Le Catalan. The restaurant is located right on the River Walk, with both indoor and outdoor seating, and a great view of the Cape Fear. It is quite simply the best place to go for exquisite food and an extensive selection of great wines. This place is great for those situations when no one in your group can agree on lunch plans or when you just want to take a break and have a light snack, because the menu at Le Catalan always offers a good selection of both hot meals and lighter fare. And everything on it is of very high quality. In fact, my family is in the thrall of several of their delicacies, whose memory lures us back time and time again (And their Chocolate Mousse is to die for! ).